Very Good. 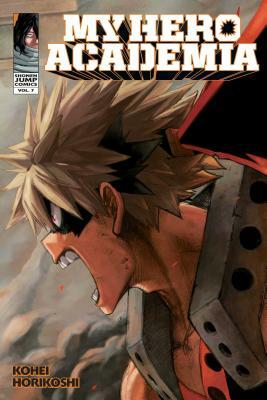 Midoriya inherits the superpower of the world's greatest hero, but greatness won't come easy. Trade paperback (US). Glued binding. 192 p. Contains: Illustrations. My Hero Academia, 7. Intended for a young adult/teenage audience. New. Midoriya inherits the superpower of the world's greatest hero, but greatness won't come easy. Series: My Hero Academia. Num Pages: 192 pages, illustrations. BIC Classification: FXA. Category: (Y) Teenage / Young Adult. Dimension: 192 x 127 x 21. Weight in Grams: 184. 2017. Paperback.....We ship daily from our Bookshop. Good. The cover may have some normal wear. The text has no notes or markings.